Aquarius, the eleventh sign of the zodiac, covers the period between January 20th and February 18th. Often, it is symbolized by a pouring of water from a pitcher. Due to this symbol, the Aquarius is often mistaken as a water sign. An understandable mistake, truth be told, considering the symbol that represents it. However, what actually influences the Aquarius personality traits is the air sign. It is not about the water. It is about the force that controls the flow of the water. This is a statement that if you truly try to understand, will let you in on the true Aquarius personality. This sign is also governed by the planet Uranus, which influences the Aquarians’ desire for uniqueness, originality, humanity, and innovation. The planet’s influence on the sign is very strong, but also erratic which do not only turn an Aquarius’ world upside-down, but also those who surround said Aquarius. So, if you have been wondering as to why the Aquarians you know are often eccentric, aloof, and out of this world, then you know that it is all because of the influence of the planet Uranus. Of course, this does not mean that all Aquarians absolutely share all the traits mentioned above. There are some exceptions mainly because it involves their unique personality traits. There also exists Aquarians that know how to socialize more than usual, some with a little more patience, and so on. So, do not close your mind and heart when being introduced to an Aquarian. Keep in mind that every Aquarian loves to be unique in their own little way. The Aquarius is often a misunderstood sign. Many view them as mysterious and mercurial. However, if there is one thing that sticks out best among the Aquarius eminent personalities, that would be being a humanitarian. If the zodiac is going to have a beauty pageant, the Aquarius will be the one to answer “world peace” when asked what it desires the most. This Aquarius desire is not one that is learned as the person governed by the sign grows up. It is innate. Another thing that sticks out from the Aquarius personality is being highly intellectual, owing to the air sign that influences it. Being an intellectual does not strictly mean one who possesses great knowledge. It also means possessing the whole deal of being an intellectual. Below is a small list of some of the many Aquarius personality traits. Everything on the list is generally good, however, you have to remember that some traits are a double-edged sword and can become a negative trait depending on the situation they are in. One thing that should be noted about the Aquarius personality traits is honesty, even to the point of bluntness and sarcasm – that is, the one being blunt and sarcastic is the Aquarius itself, not the other way around. This trait is one of the things that an Aquarian values the most. 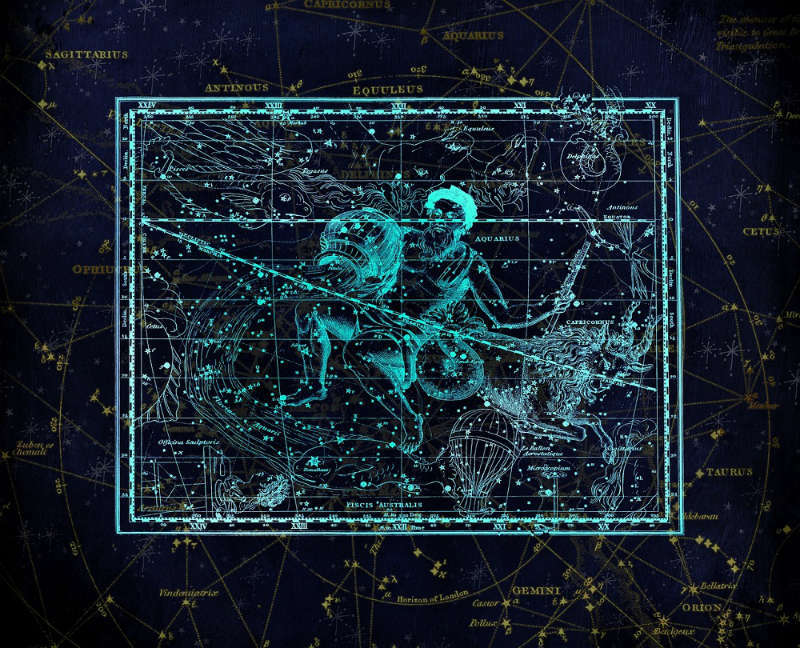 Since most of the people born under the sign of Aquarius are not exactly emotional, they often prefer honesty – even if it means there is a very high chance they will get hurt in the process. When it comes to challenging situations, the Aquarian has already played the situation again and again in its mind including all the possible outcomes. It knows that being lied to hurts – and being lied to for an extended period of time hurts a lot more. This leads the Aquarius to prefer honesty as soon as possible. Do you have a good idea or a plan that you need some sort of confirmation or suggestions? The best person that you can go to for confirmations or suggestions is the Aquarius. Spontaneity, being one of their personality traits, will help you get through with your idea or plan easily with the help of this sign. This is because they do not see such requests as a chore or a job that needs to be taken care of right away. It comes out naturally for them and they will be more than willing to throw in ideas for you. While this list includes being inquisitive as one of the Aquarius personality traits, it is not always good for them. Remember the saying “curiosity killed the cat”? This often happens to an Aquarian. While they enjoy the process of satisfying their curiosity, they often do not foresee or choose to ignore the possible outcome of what they are doing. On a brighter note, if there is something that needs finding out and it piques an Aquarian’s interest, you can be sure that it will never let go until it finds out what it wants to know. It would be good to take note that innovation is one of the Aquarius traits. If you know this trait, then you will come to understand why Aquarians seems not to be bothered with an eccentric approach to everything they do. Most Aquarians believe that if you keep doing the same thing, you will get the same result, which is why they are not afraid to do different things, to the point of weirdness, just to achieve their goals which are innovation. It is a sure thing that Aquarians love the world as it is, but making it a little better is not a bad thing either. It is true that some may view them rebellious because again, they base their opinions on what the world already knows. However, for an Aquarian, they do not see themselves rebelling. The only thing they know is that they are after something new and they are willing to do what it takes to get it. Out of all the personality traits, this one sticks out the most. Of course, each Aquarian has their own set of unique personalities, but there is always something in them that makes them a humanitarian – even a very bad Aquarian. You can expect an Aquarian to be cold to one person but becomes truly humanitarian when it comes to helping other people. They are contradicting like that and this is the very thing that makes them unique from all the zodiacs. As for being humanitarian, you can expect them to be more than willing to go to great lengths to help others out whenever they think help is truly needed. Does this ring true for the Aquarian in your life, or the Aquarius Eminent Personalities listed above? This Aquarius personality trait goes hand in hand with being innovative – something that a regular Aquarian will always have. An Aquarian is born with creativity and many people around them know just how much talent they have. They specialize in music, arts, acting, and more. One Aquarian need only tries their hand on it and if it goes well the first time, most likely the next ones will be way better. Many Aquarians are also known around the world for their unwavering creativity. One bad, albeit definitely included in the list of traits is overthinking. You will never find an Aquarian that does not overthink. This is a very natural trait for them that it can be compared to breathing. Aquarians focus on painstaking details in just about everything that their minds can think of. Such is the curse of being one of the zodiac’s intellectuals. At work, having an Aquarian in a team is good in such a way that they focus on the details no other signs would even bother poring themselves in. The Aquarian will gladly take care of this part and even volunteer themselves to it. However, in life, overthinking can make the very bright Aquarian slow in progress. If we are to gauge the sarcasm in every sign of the zodiac, you will be sure to see Aquarius ranked first with dripping sarcasm. In fact, if there is anything that comes before first, that will be Aquarius. Do not take this the wrong way though, the Aquarians do not choose sarcasm to be their language. It is natural, just like breathing and overthinking. They would not even think that someone can get immediately hurt as soon as they open their mouths. However, if you are a dear friend to an Aquarian, letting them know about their dripping sarcasm at times will be highly appreciated – provided you say it to them in a nice way. You do not need rocket science to understand this Aquarius personality trait. Overthinking goes hand-in-hand with being aloof. It is this simple explanation that defines why an Aquarian is often aloof. While it can be true that many Aquarians are very selective of the crowd they keep, this is because they like having other intellectuals with them most of the time. Aquarians flourish and feel happier when improving their knowledge, and what better way to improve it than connect with others. However, not everyone focuses their attention all the time on thinking and knowledge, which is why Aquarians tend to choose the people they want to be around with. Aquarians also want to feel that they belong, however, they also know they belong only in a certain category. Rather than forcing themselves into a group that does not clearly get them, the Aquarian will happily stick with a group that is just like them – which is quite a few. But Aquarians are fine with that and you will not find them dreaming of even forcing people to like them. Aquarians are often mistaken to be unemotional. What many do not understand about this Aquarius personality is that often, they choose just not to show. Now, why would someone choose not to do that? One thing that you should understand about the Aquarius is they value their relationships. For an Aquarian to put a value on something, means it is truly important that it needs to be respected. They want to put their relationship off the prying eyes of many people whom they know do not truly and are only there just to find out anything about them. This is how Aquarius men think they should protect their loved ones. Aquarians, like to keep their private life as it is – private. What many Aquarians do not notice is that their private lives seem too private and unavailable, seemingly nonexistent to those who are around them. But an Aquarian do not care too much about that. Fact is that the Aquarians are very loving and attached to the people that Aquarians hold most dear. They think that the attention they give to their loved ones should only be exclusive to those whom they really love because that is what they deserve. To many people, Aquarians seem very mercurial that they do not want to have anything to do with them because they are scared of the next reaction they will get. While this baffles many people that surround an Aquarian, it is good to know that sometimes the Aquarian himself is baffled as well because of this trait. However, the level of bafflement differs. You see, many people around the Aquarians are baffled because it seems as if they are facing an exploding well filled with different emotions. For the Aquarian though, they are baffled because of the disappointment they feel for themselves. There being mercurial is the clear evidence that, yet again, they failed to control their emotions. Aquarians do not deny their being mercurial, but they do not often notice it much like their sarcasm. That is until things start to get ugly and people around them are getting hurt. Once they find out what is going on, the repetitive mental video they have of the situation will start playing and they will start overthinking again. These all happen very fast in an Aquarian’s mind and while you are facing the Aquarian feeling upset about their being mercurial, the Aquarian’s mind is already spinning and playing the mental video for maybe the 7th time around always arriving in different conclusions. So, if you find an Aquarian happy, then angry, and then seemingly dazed or aloof the next moment, remember that he must be just overthinking again. The intellectual Aquarius will always have their principles and ideologies. As a young Aquarian grows, they learn about the world they live in and acquire these chunks of wisdom that helps them over the years. One thing to remember though – Aquarians stick to these principles and ideologies like permanent glue does to surfaces. If asked or required to let go, you will find yourself and the Aquarian in question in a very ugly picture, where the Aquarian has gone quite rebellious. Such things happen in the lives of an Aquarian and their loved ones because Aquarius personality traits include being obstinate. They will stick to it even if it means people will start getting furious because of their unrealistic ideals and stuck up principles. This applies to any principle or ideologies of an Aquarian, even if it seems too crazy or wrong. They will fight for it to death, figuratively. Thanks to the Aquarius’ overthinking and innovation traits, the result is often a very short attention span. This is because an Aquarian’s mind is filled-to-the-brim with awesome ideas that they want to put into action. They think they have so much to do, so they try to do it all at once which often ends in unproductivity. You see, Aquarians try to multi-task as much as they can. Of course, they can pull it off, with the normal or average level of multi-tasking. 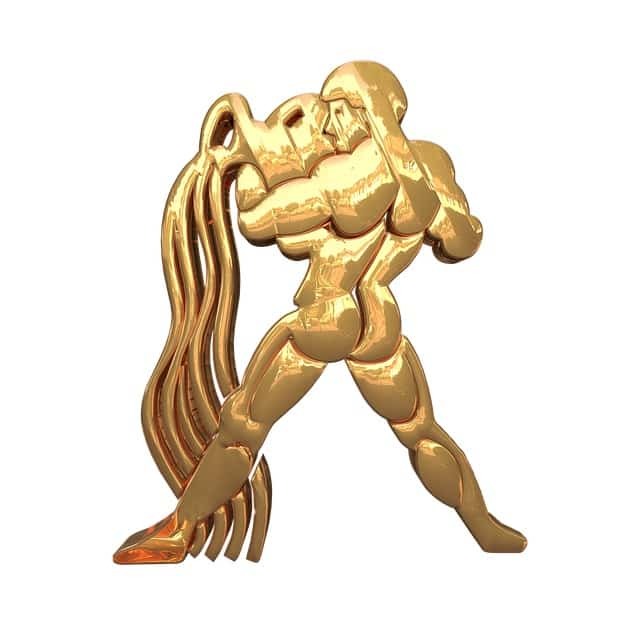 However, an Aquarian’s level of multi-tasking is so off-the-charts that they are trying to pull off several tasks, that four to five people normally handle, simultaneously. This leads to so much distraction and the Aquarian takes a pause for a while to cater to that certain distraction. Until he starts telling himself that he needs to focus on the tasks at hand. This often overwhelms them. They are left just sitting there, staring at the seemingly impossible task. That being said, you get one seriously stumped Aquarian. Also, there are loads of pending work which, when finished, renders amazing results. There you go. 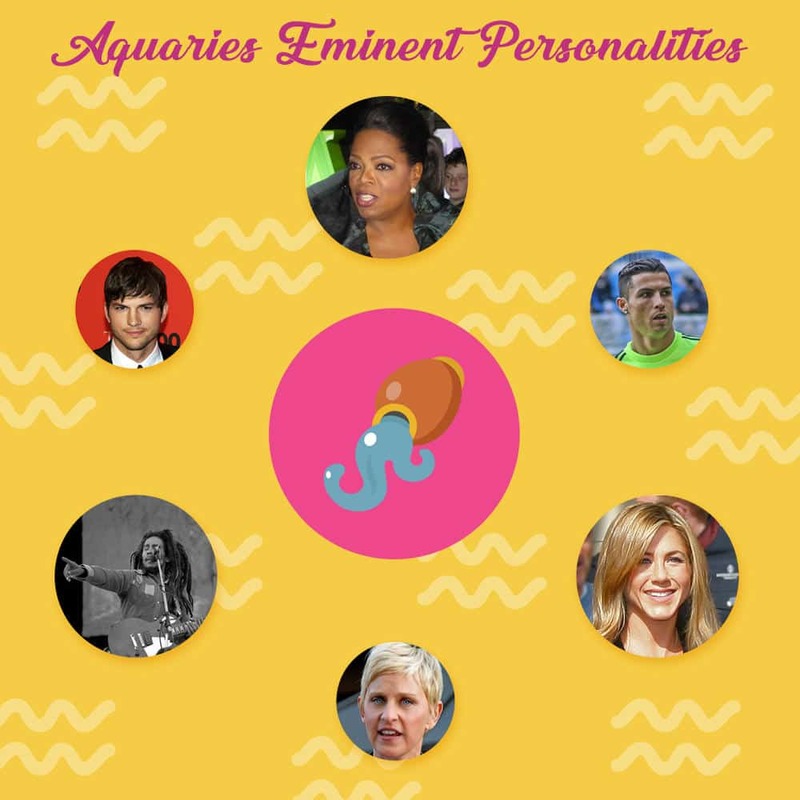 These are the Aquarius eminent personalities and traits. 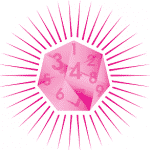 They will help you unravel the big puzzle that has been confusing people for centuries. Nonetheless, this article hopes to help you out with your Aquarian loved one. This is for you, enjoy the good things they can offer without the need for any conditions. Aquarius, the eleventh sign of the zodiac, covers the period between January 20th and February 18th. The Aquarius is often a misunderstood sign. Many view them as mysterious and mercurial. 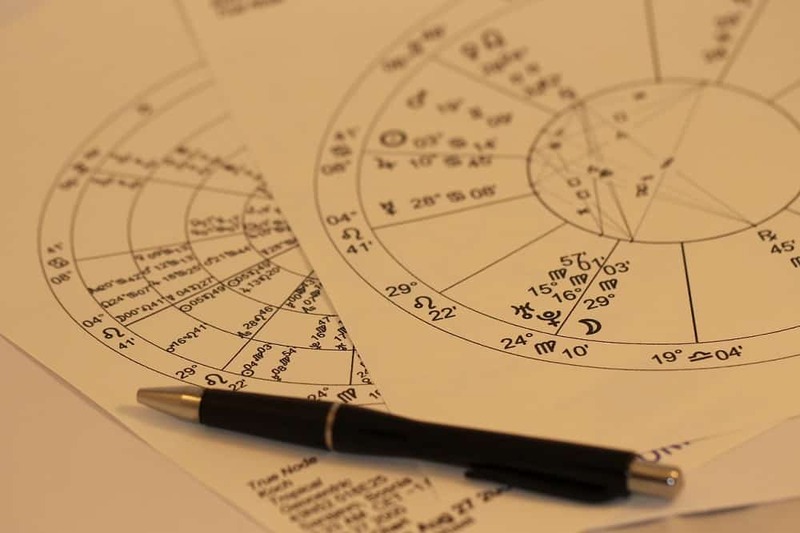 See some of famous Aquarius Eminent Personalities and the positive and negative personality traits of this zodiac sign.